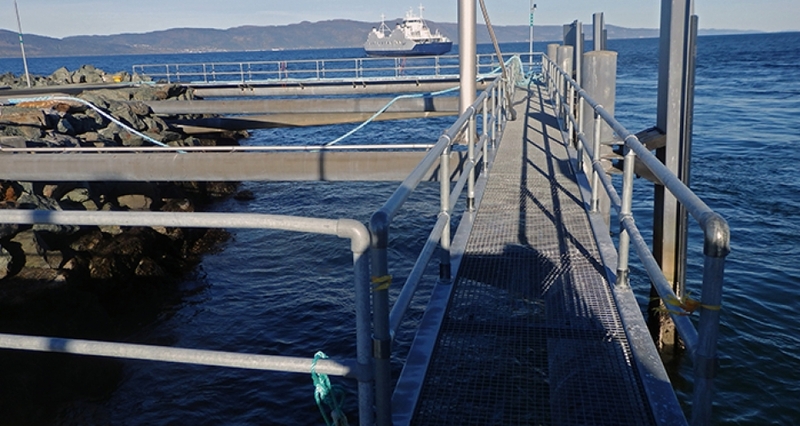 KEE KLAMP galvanised railings were installed in Norway, at the Flakk-Rørvik connection close to the city of Trondheim. The connection was opened in 1978, and at the same time the guardrails were fitted. 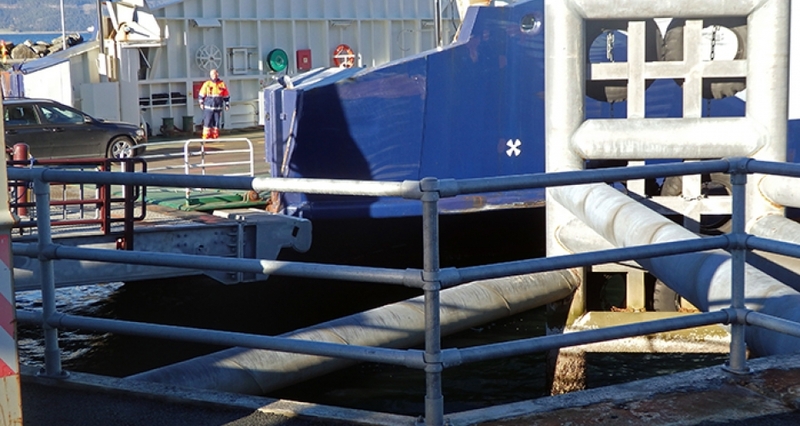 KEE KLAMP railings were installed to protect people from falling in the fjord alongside the ferry. Norway is a country with a very long coastline and many deep fjords. 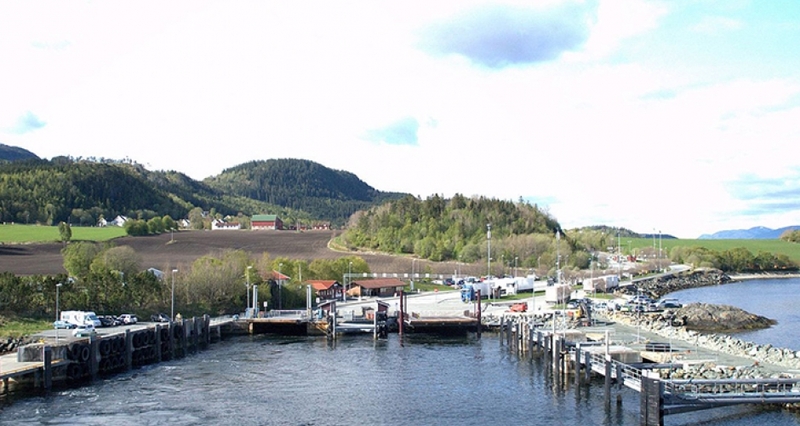 This gives a need for ferries as a part of the national road network, and today there are around 120 active ferry connections on Norwegian roads. These are all sailing on salt water. The weather along the coast can be pretty rough, so salt spray is happening all the time there. This is an environment as corrosive as it gets! 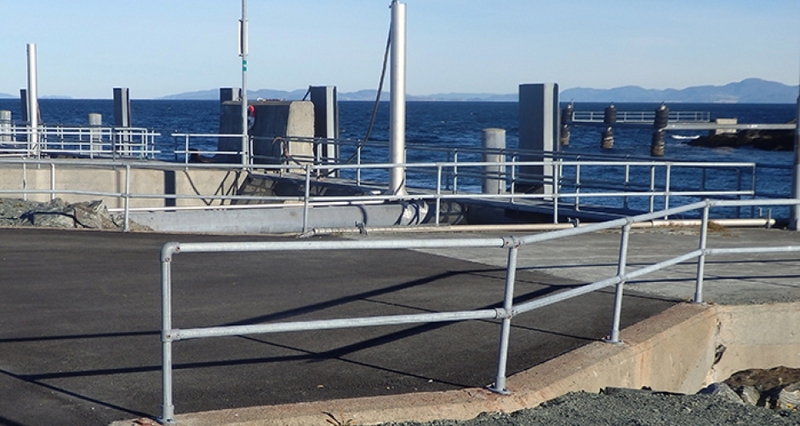 KEE KLAMP railings are often specified and installed at the ferry piers. 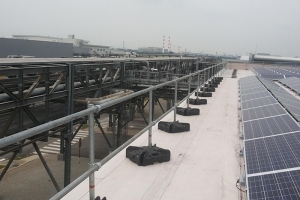 Photographs above show KEE KLAMP guardrails installed over 40 years ago and despite the corrosive marine environment they still look good, and protect people from hazards. 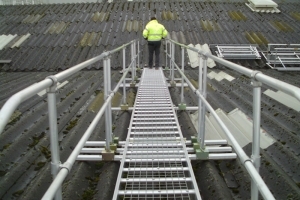 Many years in use has proven that this is the best way to install guardrails on these sites. 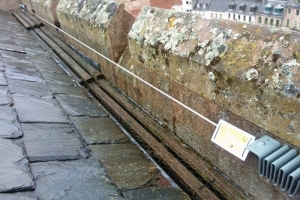 Click here to see more examples of KEE KLAMP railings installed in the marine environment.